The I Love Spice unit that was in trade. The modular design allowed for different size units to be assembled. 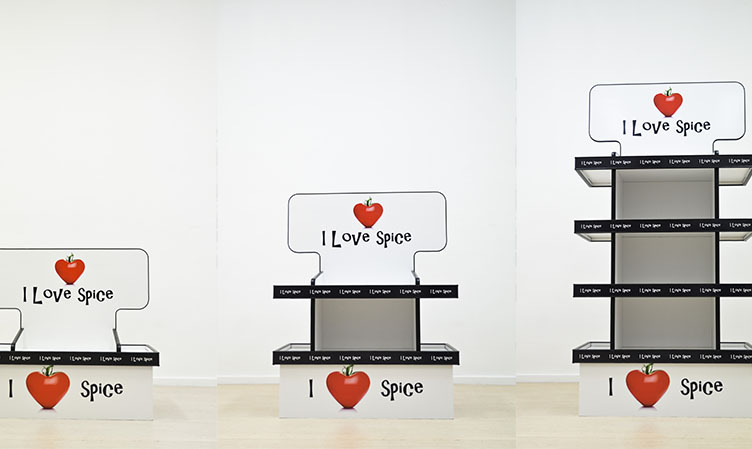 ‘I Love Spice’ is a new entrant into the spice market in South Africa. The spice category is highly competitive with limited shelf space within retail outlets. New products are up against well established brands. Creating sales from just shelf space alone is a challenge. Alert the shopper to the new range in the spice category. Showcase the entire range of spice blends available. Merchandise the range adjacent to complementary produce to stimulate trial impulse purchase. Fit into a variety of retail environments. Offer a lifespan of at least a year in trade. Their packaging is unique, simple and fresh. 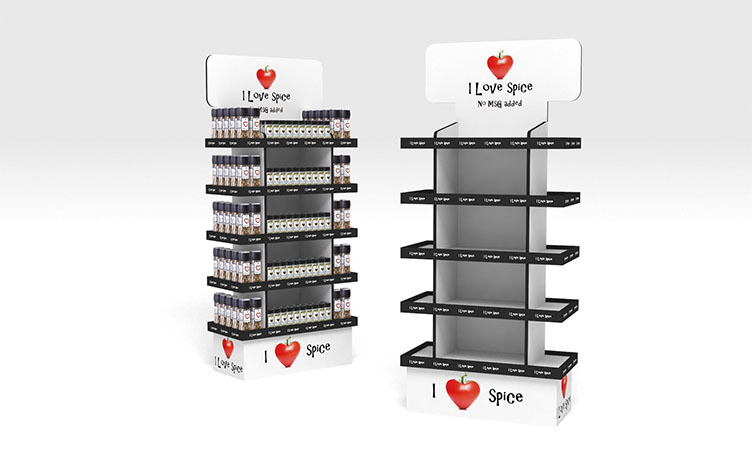 This Free Standing Unit reflects this and more importantly, grabs the shoppers attention by delivering a simple message. 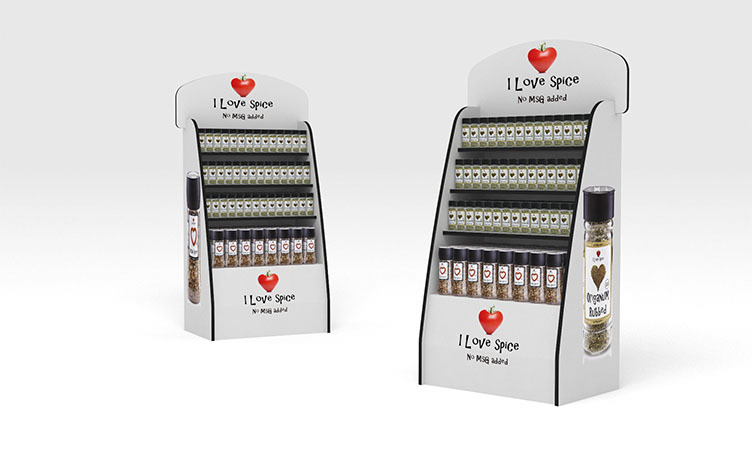 Our design team developed a stackable Free Standing Unit (FSU) to accommodate all the varieties of the ‘I Love Spice’ range. The unit is simple with a header that delivers the excellent branding. The unit is flat-packable, easy to assemble and fast to install. This guarantees 100% execution in trade.